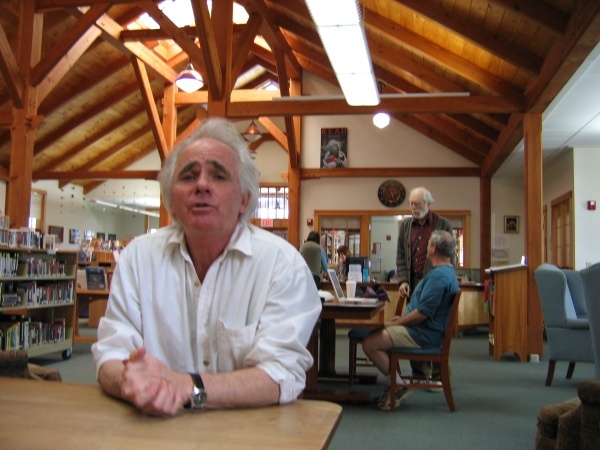 Stephen Coronella, librarian in Putney, Vermont. 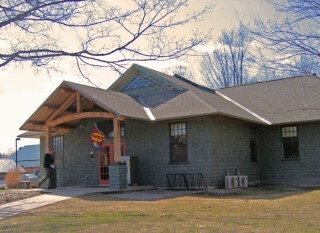 Those are the words that Stephen Coronella used to describe the role of the Putney, Vermont, public library. For Coronella, who's the librarian in this small Vermont town (population 2,600), a good library works a lot like a harbor. It provides a place where people can dock themselves for a while, socialize with others, and feel some comfort and security. Cornonella explained that over the years libraries have become more multi-faceted. They're no longer just places to read and take out books (though that's still a key function). Increasingly libraries are providing a broader range of services, from access to research databases, to loaning videos and CDs, to providing internet access, to offering space for lectures and public meetings. The Putney library regularly attracts one hundred or more people on a daily basis, and forty or fifty more often show up for evening programs. You'll find people of all ages, incomes, and backgrounds using the Putney library. Its' seven public access computers are very popular, and offer a valuable service in this rural community where residential broadband service is limited. The library's beautiful new building is located within walking distance of the town center (less than half-a-mile away) and next to the Co-Op market and senior housing. The new building was made possible in part from a generous donor, but also through extensive fund-raising in the Putney community. 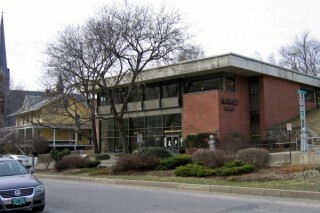 Brattleboro, Vermont's, library is located on the downtown main street. 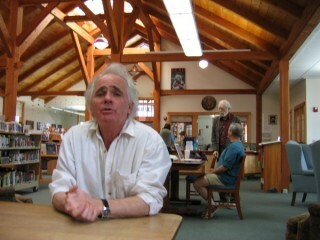 Later in the day I met with Brattleboro's library director, Jerry Carbone, who echoed much of what Coronella said. 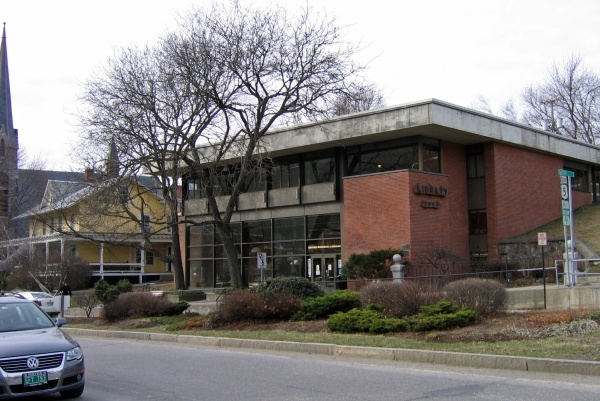 Brattleboro's Brooks Memorial library, in the heart of downtown, makes its community room availalbe at no charge to local organizations three evenings every week. This provides, as Carbone put it, "neutral public space," an increasingly important, but scarce, commodity in communities. Brooks Memorial's main room is also used for larger library-sponsored lectures and movies, often drawing over a hundred people. As a side note, we'll be running an article in the Summer issue of the Planning Commissioners Journal on the impact libraries can have on our downtowns. The article will also draw on insights I gained from meeting with Windham Regional Commission planners Susan McMahon and Kendall Gifford here in Brattleboro this afternoon. They helped organize a region-wide forum a few years ago that focused on the benefits libraries can bring to village centers and downtowns. [Update: the article is now available; see "Libraries at the Heart of Our Communities"]. 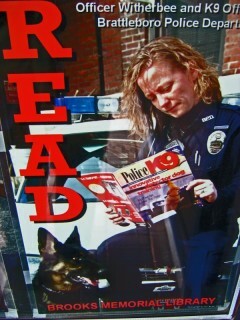 Brattleboro police officers like to read at the library! 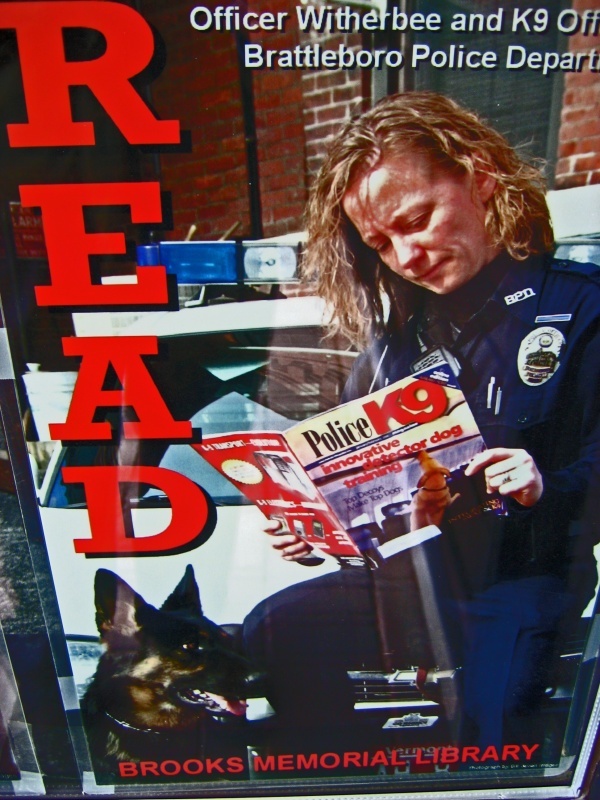 In the meantime, it's important to follow the lead of this Brattleboro police officer and her K9 dog -- seen in a great poster I spotted on display downtown -- and read.